According to the Florida Forest Service, many areas of our state are experiencing abnormally low precipitation to severe drought, even though water defines Florida with two bordering oceans, Lake Okeechobee and 50,000 miles of rivers, streams and waterways. 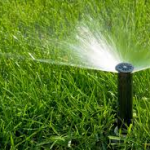 So when it comes to watering your landscape, ask your certified irrigation specialist to make sure your system is running efficiently — especially as we move into the hot summer months ahead. He or she should inspect everything closely so you’re using only the minimum amount of water needed to protect our most valuable resource. We recommend low-flow nozzles or micro irrigation spray heads, smart controllers, flow sensors and drip irrigation. Don’t be left high and dry. For more information, check with Southwest Florida Water Management District at www.swfwmd.state.fl.us/blog to learn how you and your community can impact water usage.